Towson, Maryland born Drew Davidsen was over 12 years lead guitarist of Baltimore's Richard Walton Group. After leaving the band he released his debut solo album This Journey (2007). On his sophomore album Around (Again) (2009) he followed his idol George Benson performing on his own Ibanez guitar. With his next album We 3 Stringz (2010) he featured smooth jazz stars like Chuck Loeb and Paul Jackson, Jr. Now is the time for Spin Cycle (2011). His latest three albums were produced by Creative Soul Jazz's Eric Copeland. Davidsen is joined on this album by Nashville Session Player Jazz Super Group called Player A, who recently released their album Our Own Devices (2011). The group consists of Eric Copeland, John Hammond, Gary Lunn, and Brian Fullen. Guest musician on this project is keyboardist Jay Rowe, known as member of Chieli Minucci's band Special EFX. 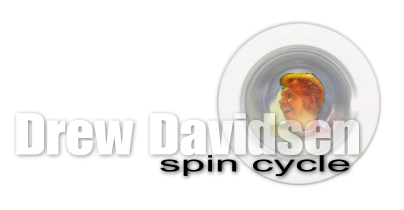 Spin Cycle is not a boring wash machine's rotation but Drew Davidsen's innovative signature guitar performance. With his hooking guitar loops he shows the music world what's what. Don't Delay strikes with an appealing melody, a brilliant balance between rock and smooth jazz. Alexander's Dream offers an attractive West Coast groove featuring keyboard legend Jay Rowe. Global Sync showcases more of Drew's guitar fluidity, which makes his album so impressive. With the acoustic guitar piece Catalina Blue Drew plays his tribute to the Catalina Island JazzTrax Festival, which will take place in October again. My Club Side is a short glimpse into the disco scene. Cosmopolitan is Drew's reference to the great guitar master George Benson. With the uplifting On The Move he keeps the feel-good vibe going strong. Drew's Blues is what the title announced. Honest to the core. With the final My Father's World Drew gives the audience an emotional farewell. 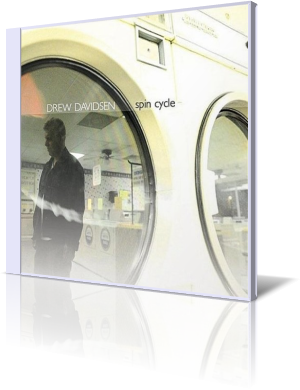 Drew Davidsen's Spin Cycle is a solid piece of guitar mastership offering a plethora of finest melodies.